Poly Pet Company Limited is a privately owned limited liability, manufacturing company; providing a wide range of plastic bottles to satisfy the beverage, household and industrial industry. At the facility, we provide High-Density Polyethylene (HDPE) and Polyethylene terephthalate (PET) bottles for various uses and in various sizes.  Combining an automated facility with high speed, state of the art machinery, highly skilled technicians and an effective management team, Poly Pet Co. is guaranteed to provide bottles of the highest quality at the most competitive prices. With a vision dedicated to improving efficiency and company growth through constant research, Poly Pet Co. remains informed of new challenges which present themselves in the market place and hence align ourselves with solutions to satisfy the customers’ needs. From the sources of our raw material to the manufacturer of our machines, they are meticulously audited as a means to ensure that the World standards for best practices are being met in order for us to provide customers with a product able to meet the World standards. Being an environmentally aware company, we employ all methods available to care for the environment either through partnerships with companies actively involved in saving the environment or by investing in bio-degradable technology in order to incorporate into our production processes. Our dedicated staff is able to listen to the needs of the customer and suggest a suitable package solution from our wide range of standard products made available. If the customer requires unique packaging, Poly Pet Co. is able to consult, design and execute the creation of this package to the customers’ satisfaction.